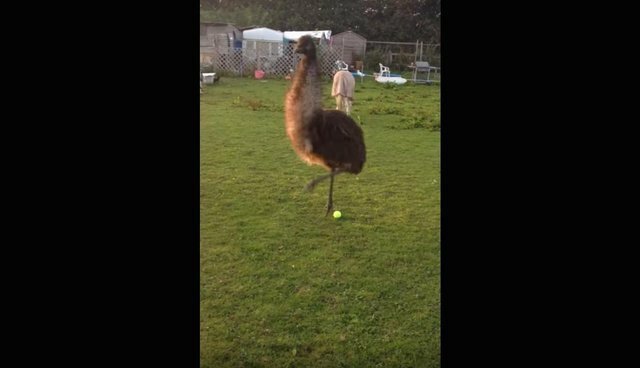 Move over dogs - this adorable emu proves that giant birds can also be man's best friend. 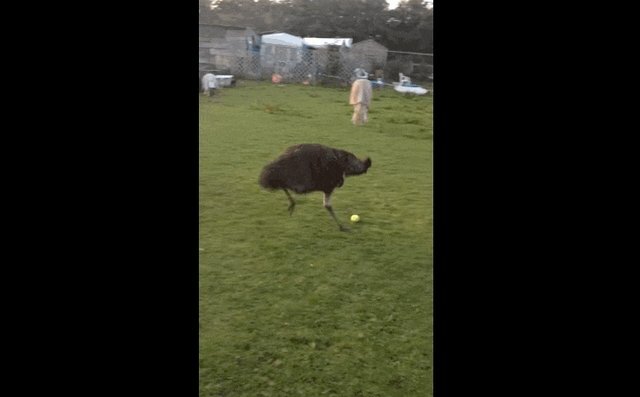 Mimi the emu loves playing fetch with her family ... just like a puppy! 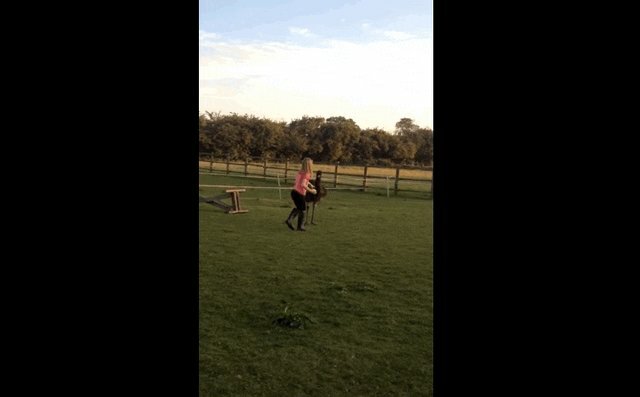 As soon as her little human throws the ball, she goes racing off after it. She doesn't exactly have the fetching part down though - as soon as she gets to the ball, she just sort of dances around it. But tell us this isn't the most adorable happy dance you've ever seen!